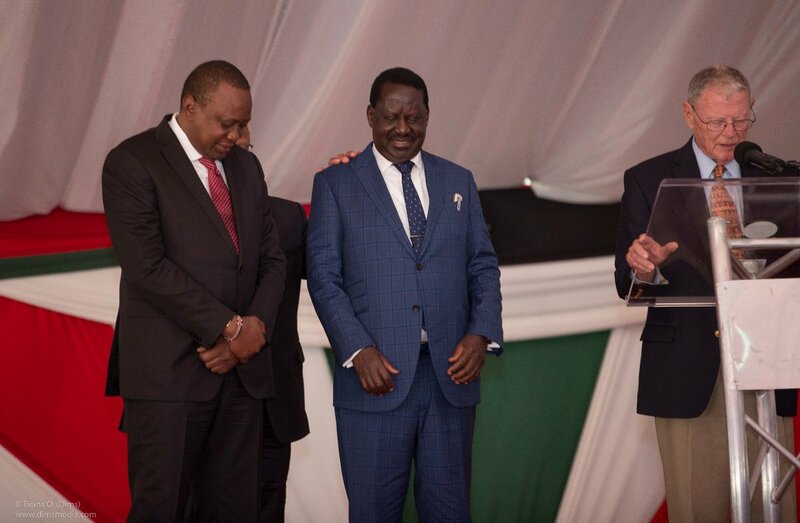 In the 16th edition of the National Prayer Breakfast, leaders converged at Safari Park Hotel to commemorate the event aimed at uniting Kenyans in prayer. KPMG Global Head of Citizenship, Lord Dr. Michael Hastings was the guest speaker where he encouraged everyone that in true unity, there is opportunity. In attendance were dignitaries including Somalia President Mohamed Adullahi Farmajo, President Uhuru Kenyatta, DP William Ruto, Former Prime Minister Raila Odinga and Former Vice President Kalonzo Musyoka, Delegations from Ethiopia, S.Sudan, D.R.C, South Africa, Rwanda and United Kingdom among others. 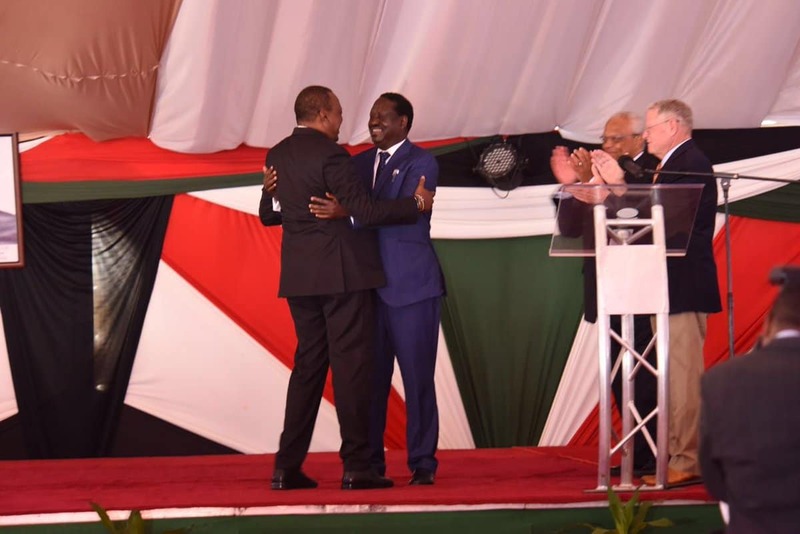 Uhuru and Raila led in peace- making by apologizing to each other and hugging it out in a deepened journey to encourage peace and unite the country. “Never again shall a Kenyan die because of elections- We will fight corruption together and we are committed and hope MOU will be implemented. I tender my apology to my brother” said Raila. Most of the leaders urged everyone to make peace and embrace one another. “On issues we can’t agree let’s work together. We can come together and fight corruption and not use tribes, religion. Today, I ask for forgiveness to anyone I may have injured in any manner. We need to go around together and preach unity” said President Uhuru. President Mohamed Farmajo also vowed that his government is ready to fight the Alshabaab as a common enemy with Kenya. 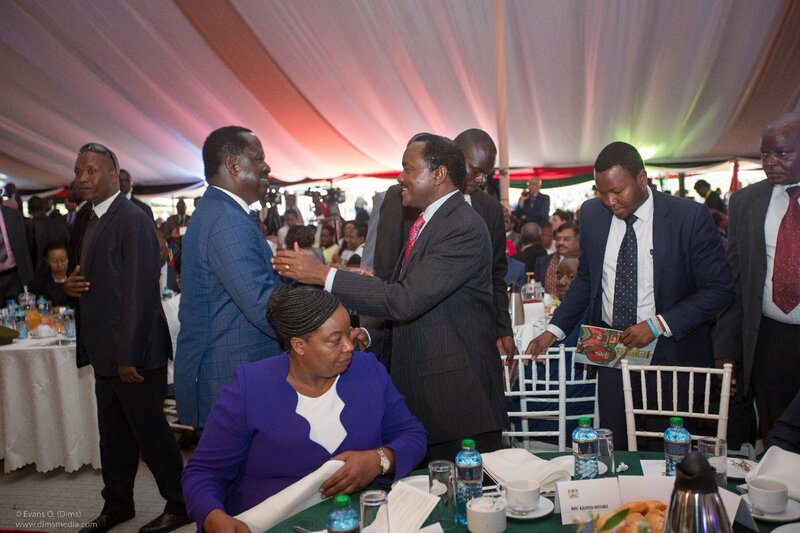 Notably absent was Musalia Mudavadi and Moses Wetangula who did not attend the event.